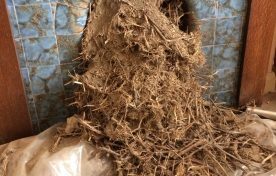 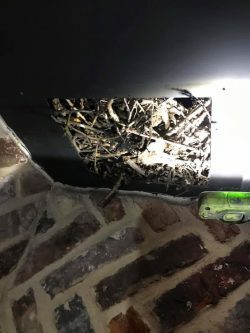 Home > Uncategorized > Nests in your chimney can be a BIG problem. 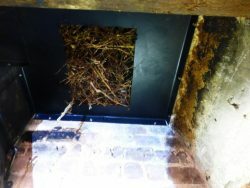 Jackdaws love nesting in chimneys and that can be a problem. 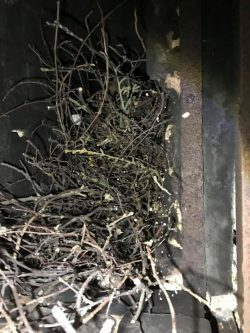 JACKDAW nesting season is here – and that could be a problem for your fire and chimney. 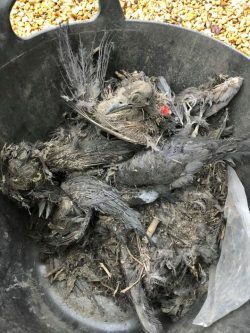 There are around 1.4 million pairs of Jackdaws in the UK! 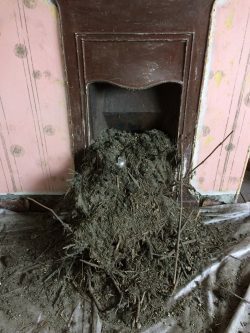 Kevin Voice, of ‘The Soot Sergeant’, took these photos of nests in the Powys area. 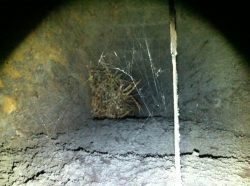 These birds love to set-up home in chimneys. 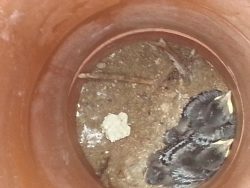 They generally nest in dark enclosed spaces from March / April, depending on the weather. 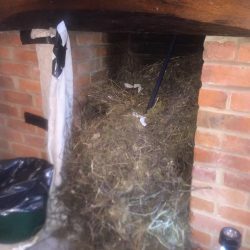 Emily Bignell, Supporter Advisor for the Royal Society for the Protection of Birds (RSPB), said that nests found in chimneys were most often jackdaws. 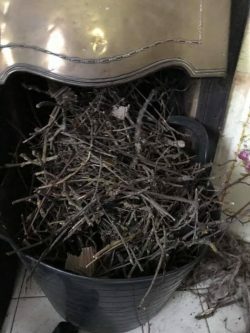 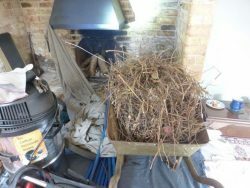 He added: “All sweeps intending to remove a nest should carry the “General Licence” and understand who is an “Authorised Person” – see the links at the end of this article. 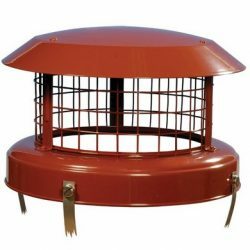 A bird guard like the one pictured here will prevent a nest in the chimney. 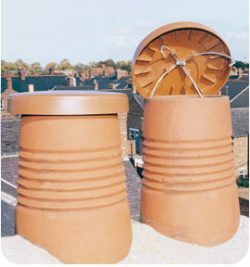 The caps pictured are perfect for unused chimneys only. 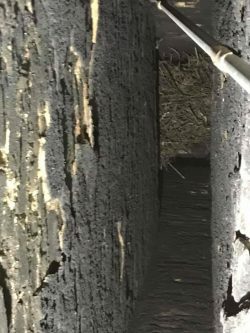 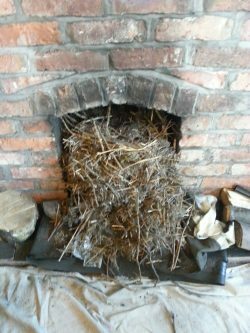 Your local professional chimney sweep can give you the best guidance about removing jackdaw nests. 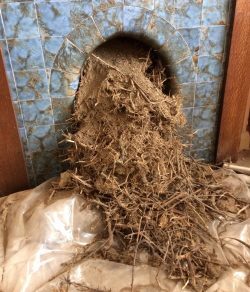 Get in touch with him or her via the directory. 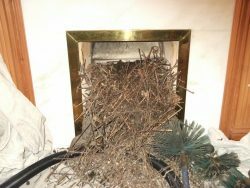 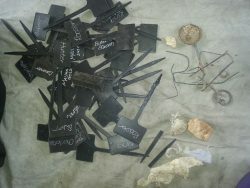 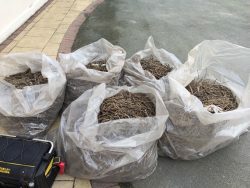 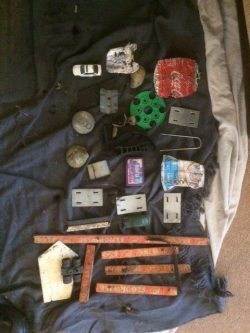 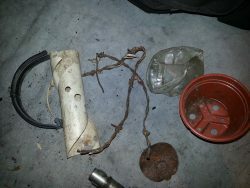 HERE is a selection of photos showing the contents of jackdaw nests. 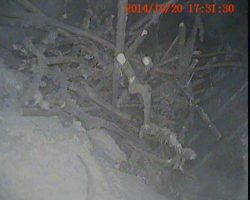 Also see some of the unusual objects we find in these nests! 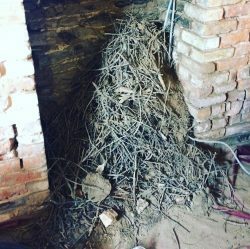 As you can see, nests can be a big problem – ask your sweep about bird guards and caps.